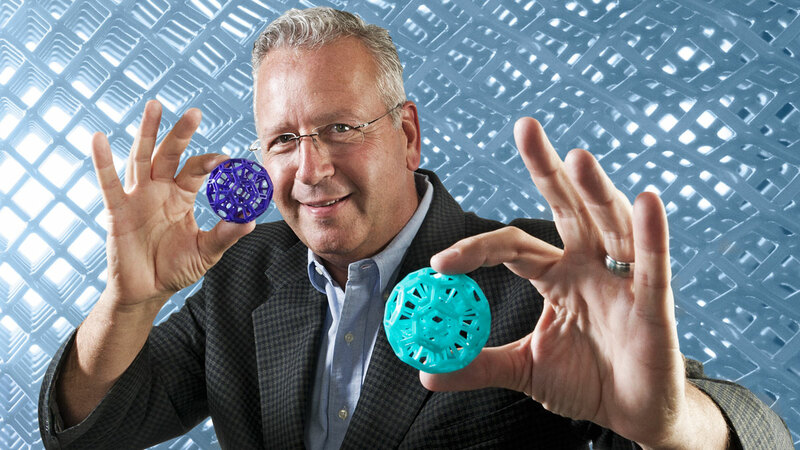 3-D printing is slow; it’s really just “2-D printing over and over,” says chemist and material scientist Joseph DeSimone. 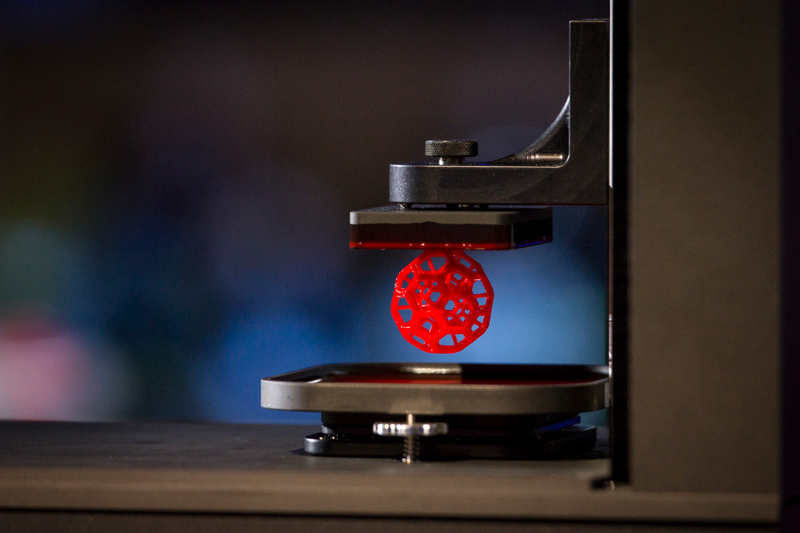 Addressing the three main issues that has prevented 3-D printing from being a mainstream manufacturing process – time, structural and material limits – DeSimone has unveiled Carbon3D atTED2015. A process inspired by the T-1000 from Terminator 2, Carbon3D uses light and oxygen to continuously (and quickly) grow parts out of a vat of liquid resin using a new technology known as CLIP –Continuous Liquid Interface Production. While the process’ potential has been immediately correlated with the medical industry, one can only imagine its effect on manufacturing as a whole. Joseph DeSimone (born May 16, 1964) is an American chemist, and the 2008 recipient of the Lemelson–MIT Prize. He is the Chancellor’s Eminent Professor of Chemistry at the University of North Carolina at Chapel Hill, and William R. Kenan, Jr. Distinguished Professor of Chemical Engineering at North Carolina State University and of Chemistry at UNC. DeSimone is also an adjunct member at Memorial Sloan-Kettering Cancer Center. DeSimone has published over 300 scientific articles and has over 150 issued patents in his name with over 80 patents pending.